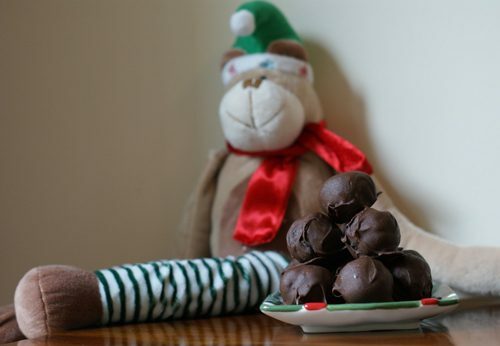 These Oreo truffles are counted among my very favorite treats; crushed oreos & cream cheese make a delicious filling with a hard chocolate shell. They are rich and decadent, but oh so easy to make! These have to be refrigerated, so they’re not always a great gift choice, but they make a wonderful hostess gift or dessert to serve at a party. Or you could make a batch and keep them in your fridge for yourself to help you get through the rest of the Christmas season! Finely crush Oreos and mix with the softened cream cheese. Shape mixture into 1-inch balls. Hint: Use a melon baller for uniformity! Melt the chocolate in the microwave or a double boiler. 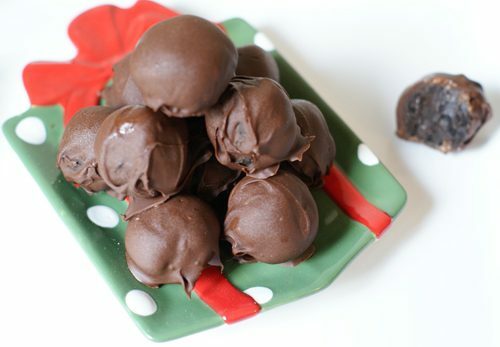 Dip Oreo balls in chocolate and then set on wax paper. Refrigerate for 1 hour. Store in the fridge or freezer.